Hinckley kicked off the New Year by announcing that Morris Yachts has become a part of The Hinckley Company family. 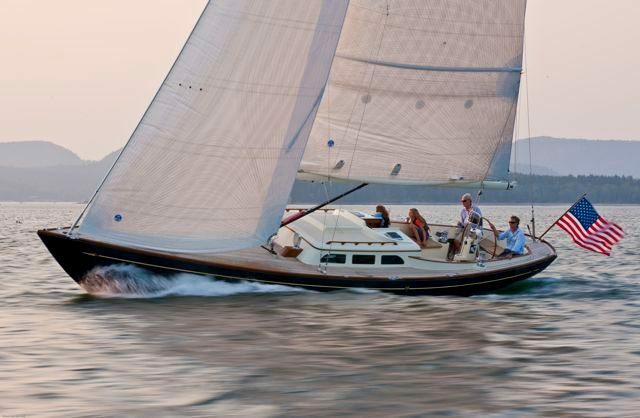 Hinckley acquired the assets of the sailboat builder on January first and plans to continue Morris’ boatbuilding and service operations in Downeast Maine under the name of Morris Yachts, LLC. Both companies build fine quality yachts within a quarter mile of each other in Trenton, Maine and with the new arrangement about 380 craftsmen, engineers and technicians will provide a deep pool of talent for the building of world-class yachts. Morris Yachts was founded 40 years ago and has built over 300 sailboats. Morris owners will be welcomed at any of Hinckley’s east coast service yards from Maine to Florida.